Britain voted to leave the European Union on Thursday by 52 per cent to 48 per cent. Election night brought many surprises and confirmed many suspicions. Here are the five things that we learned the night Europe awoke one country smaller. Today’s referendum was a victory for the grey vote. Just 39 per cent of people over 65 backed Remain, according to YouGov’s recontact survey. Young people are being taken out of the EU against their will. A huge 75 per cent of people under 25 want to remain in the EU, but it’s popular with people in their middle age as well – 56 per cent of under 50s voted to Remain. With just four points between Leave and Remain, and more young people entering the voting age population all the time, Britain could have a Remain majority before secession negotiations are even done. GP tutor with First Class Honours from NUS, over 12 years’ experience and outstanding track record. For more info please click ‘About the Tutor/Testimonials’ above or call/ text 9839 2152. All lessons on a one-to-one basis at student’s home. O-level English tuition (Upper Sec) also available. 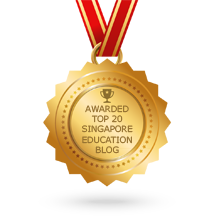 This entry was posted in Recommended Articles and tagged english tuition singapore, gp tuition, gp tutor, top english tutor, top gp tutor. Bookmark the permalink.